What can I say? I love the sound of my own voice! I hope you do too because, if you do, this is a great time for us. As much as I love hosting my own podcast, it’s a lot of work. Not to mention that I just can’t say everything that overflows outta my ear holes. Luckily for me, the boys over at the LAMBcast have been happy to provide me a forum to spew my mindless movie jibberish. 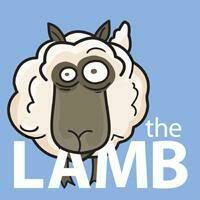 I’ve been lucky enough to guest on the LAMBcast 3 times now and have a few more lined up. So, if you’re interested, download an episode off of iTunes and give it a listen… or stream it by clicking here!!! 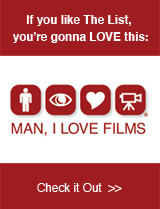 LAMBcast is the official podcast of the Large Association of Movie Blogs. You can also hear me on episode 3 of The Film Enigma Gameshow hosted by Univarn (I don’t have time to explain) of A Life in Equinox. Also available on iTunes! I was just thinking about this while listening to my buddies over at the Frankly, My Dear podcast as they reviewed the Indiana Jones trilogy. 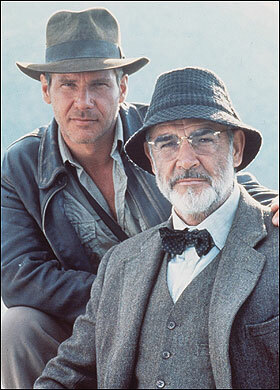 At the end of the film, Indy must complete 3 tests in order to retrieve the cup of Christ and save his dying father. Now, many have tried, and lost their head in the process, but Indy figures it out with the help of his father’s clues. The first clue, Indy figures out is to be a pennitent man and kneel before God to avoid the saw that’s been chopping of those heads. I want to know how he knows to follow that up with a ninja roll to avoid the 2nd saw that pops up out of the ground. Seriously… rewatch the scene. Is it just me? – Some seriously overrated classics. – A 2nd super secret discussion. – And we both play THE GAME!!! You can find MILFcast on podOmatic by clicking here. You can also subscribe or download for free on iTunes. Please drop a comment on the ep below or send me an e-mail. Check me out on the UK METRO FILM FIGHT CLUB as I argue with the boys of Ross v Ross and Aiden Redmond of Cut the Crap Movie Reviews over who’s the biggest Baddie in the Expendables: Arnie v Sly v Willis v Statham… yup… Statham!